You don't realise there's so many kinds of knives until you see them all written down and thanks to Mily's Kitchen Store, who have create this great infographic, you can see them all in one retro design. 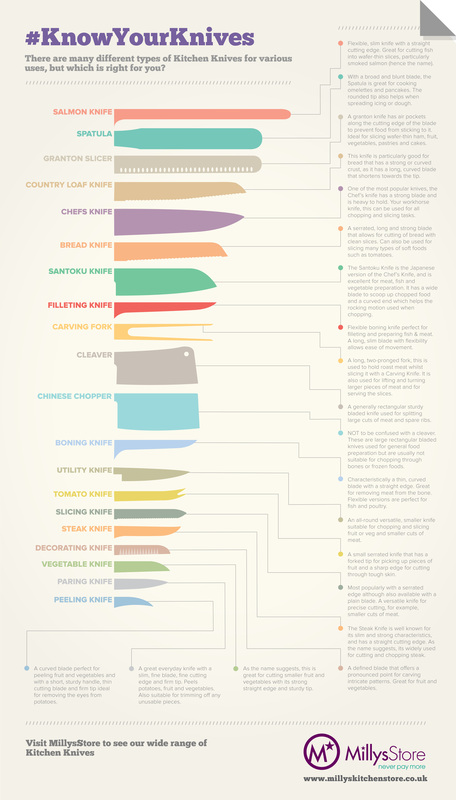 The infographic lists all kinds of knives, from salmon right through to a peeler. It also offers up information on how to use them and techniques that can be employed with each variety of knife.